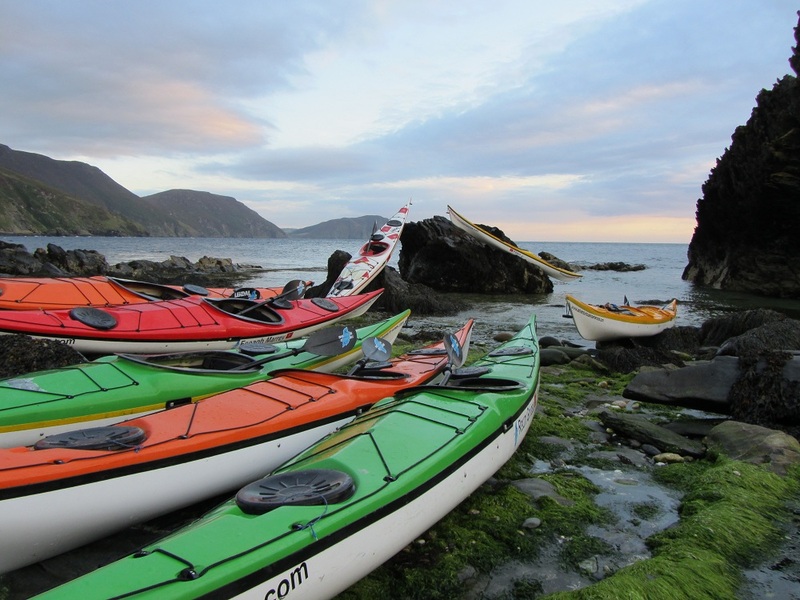 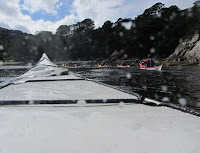 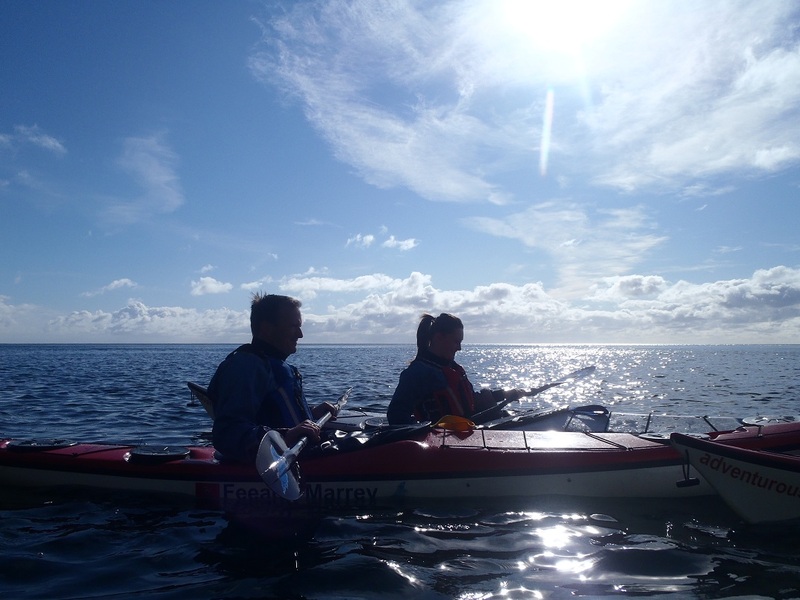 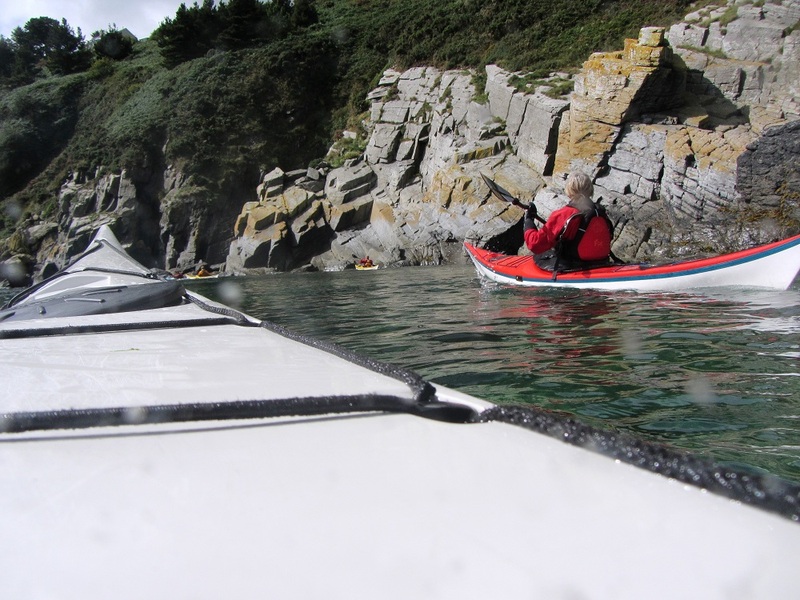 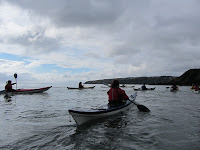 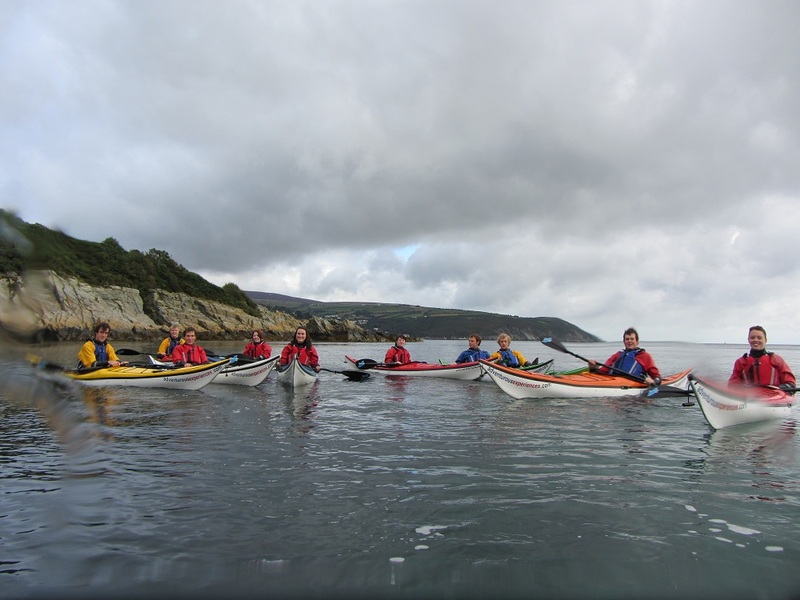 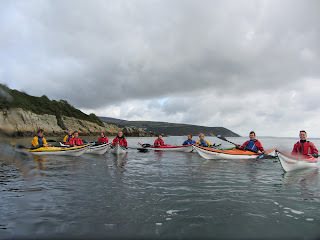 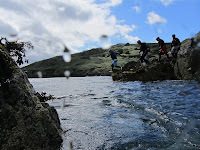 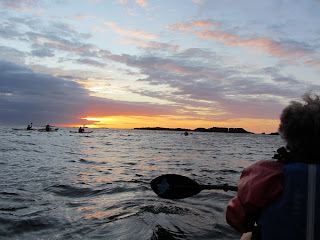 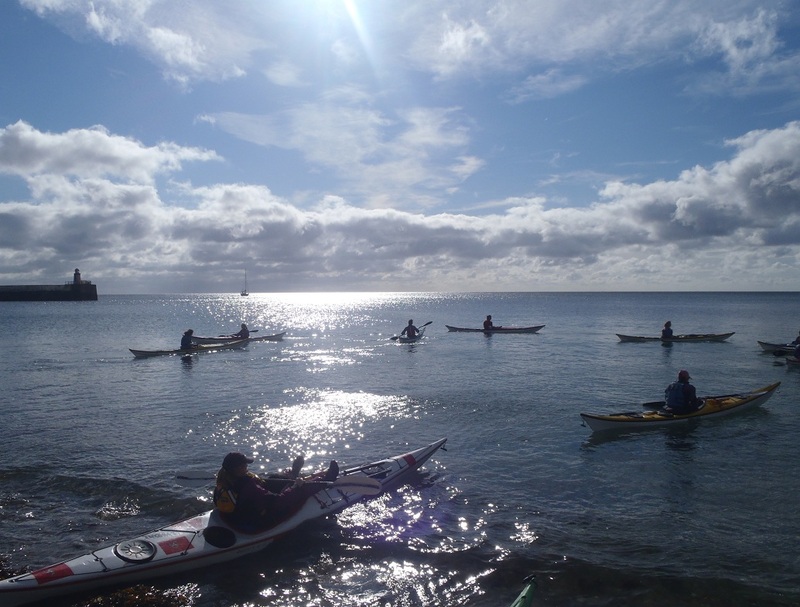 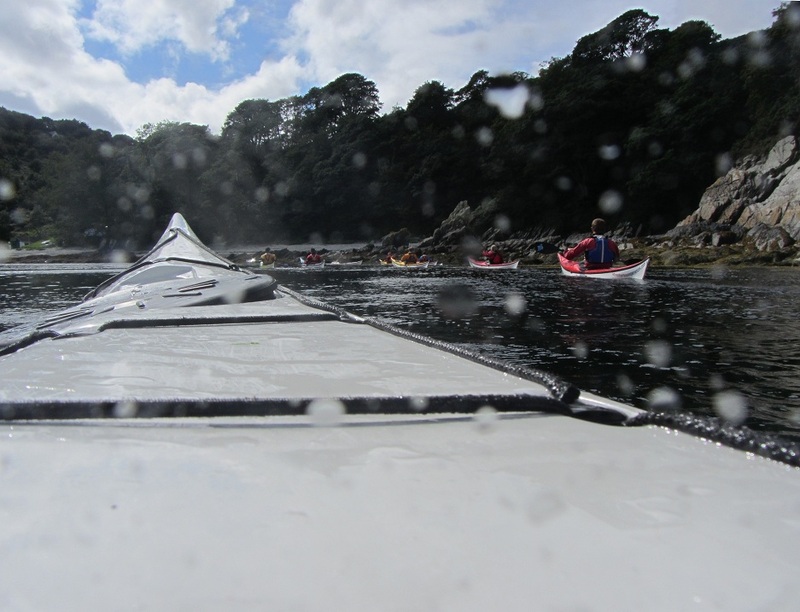 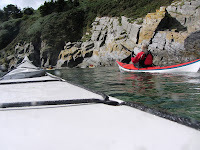 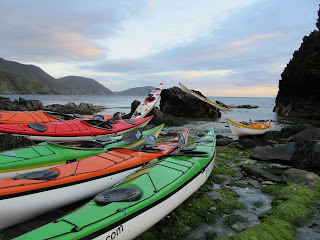 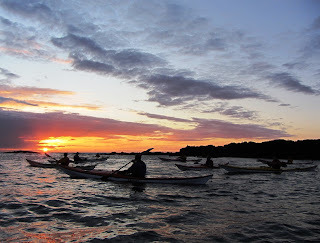 The Sea Kayak Trip for youngsters ran from Port St Mary in the morning, providing a perfect learning opportunity and a bit of fun : ). 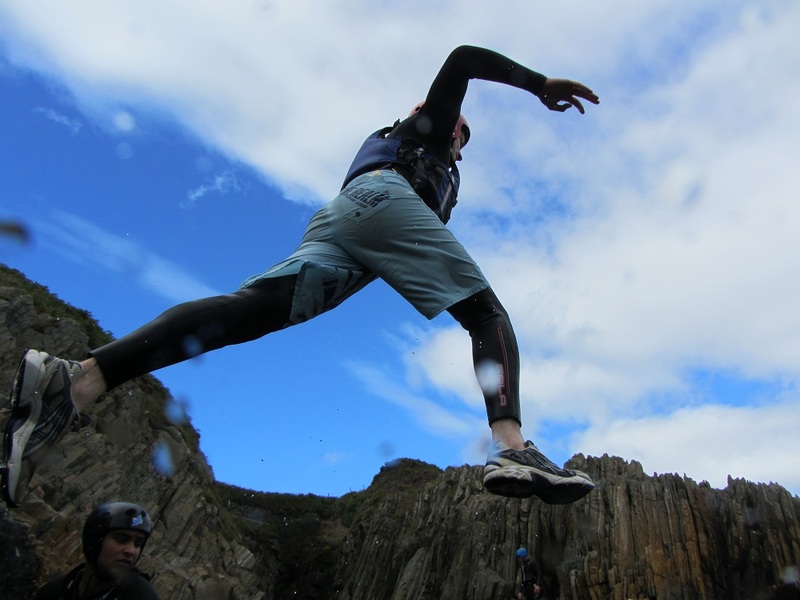 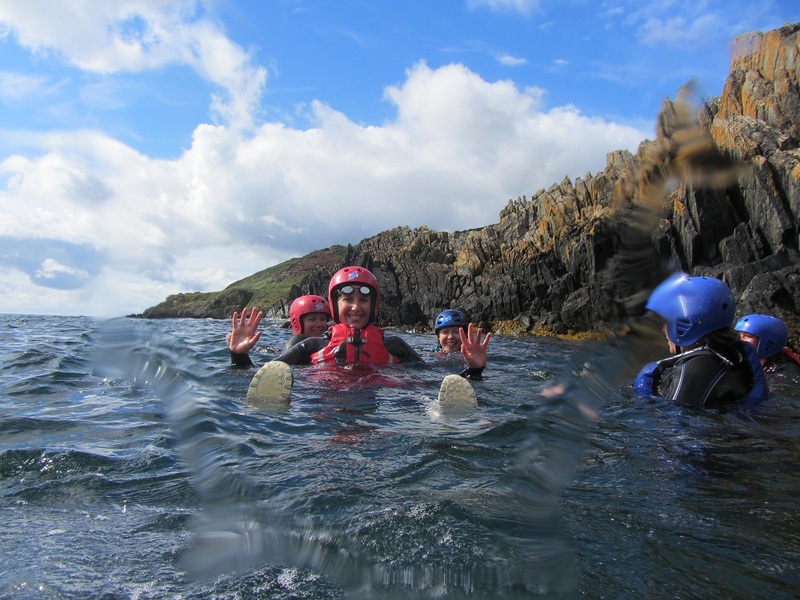 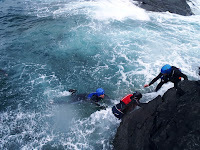 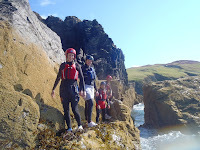 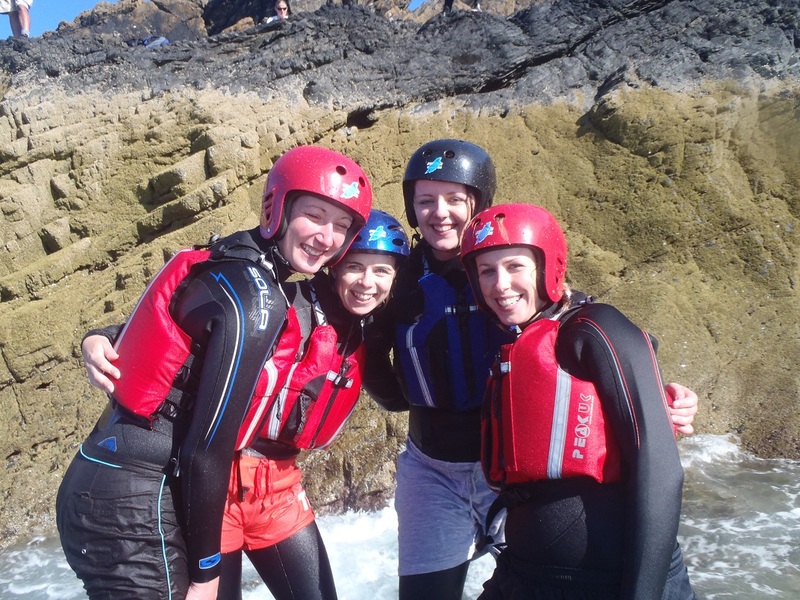 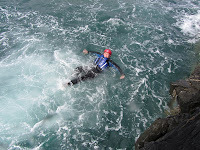 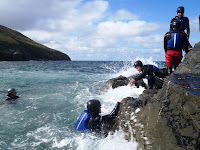 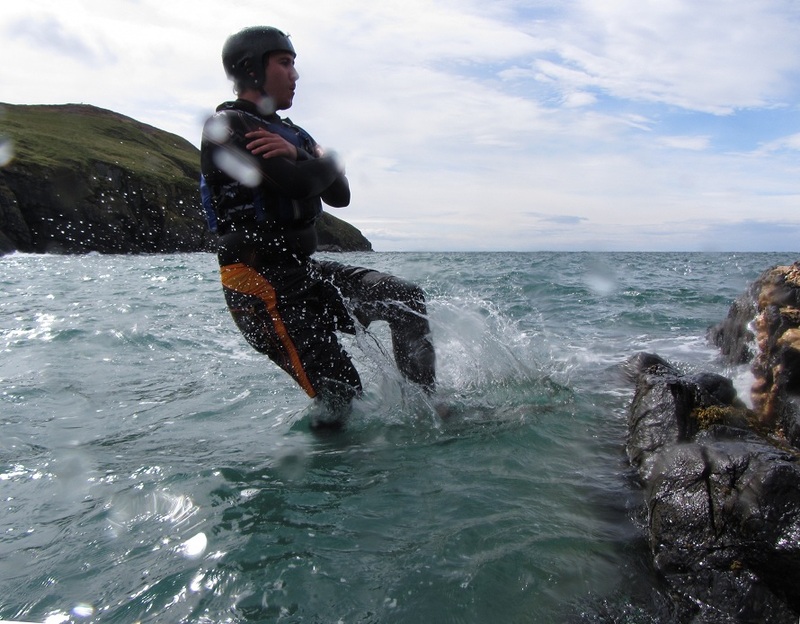 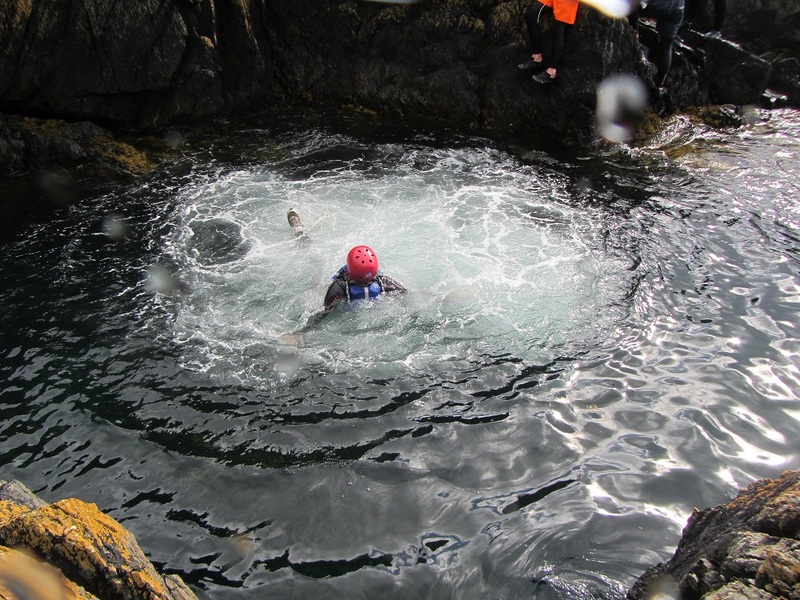 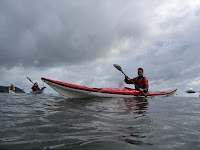 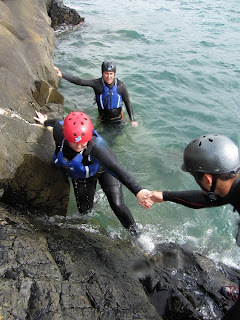 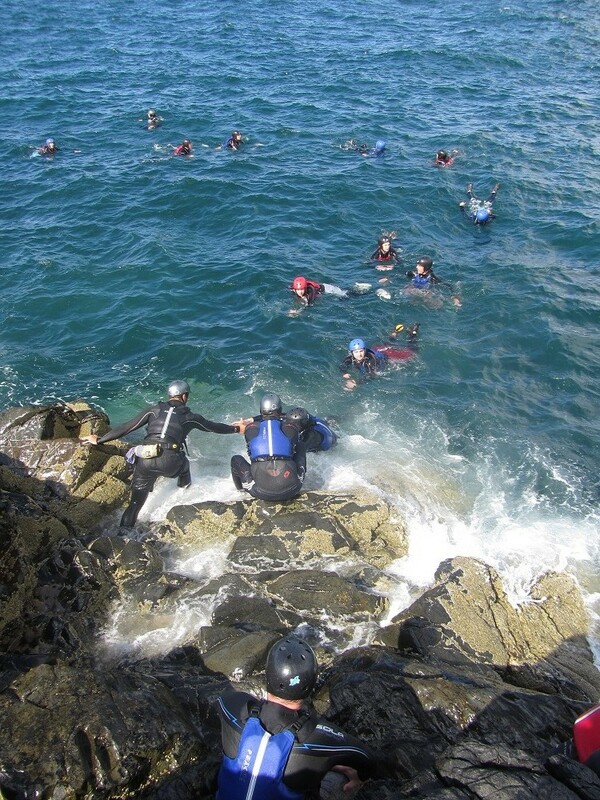 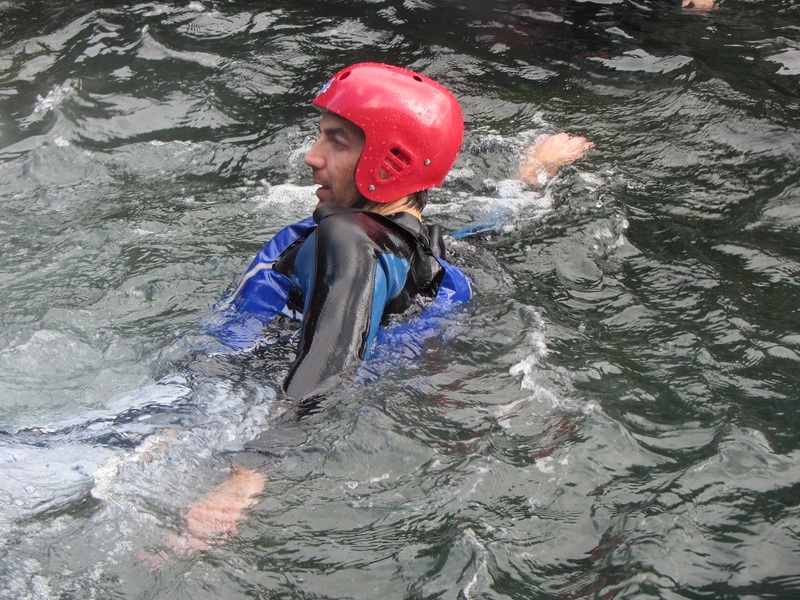 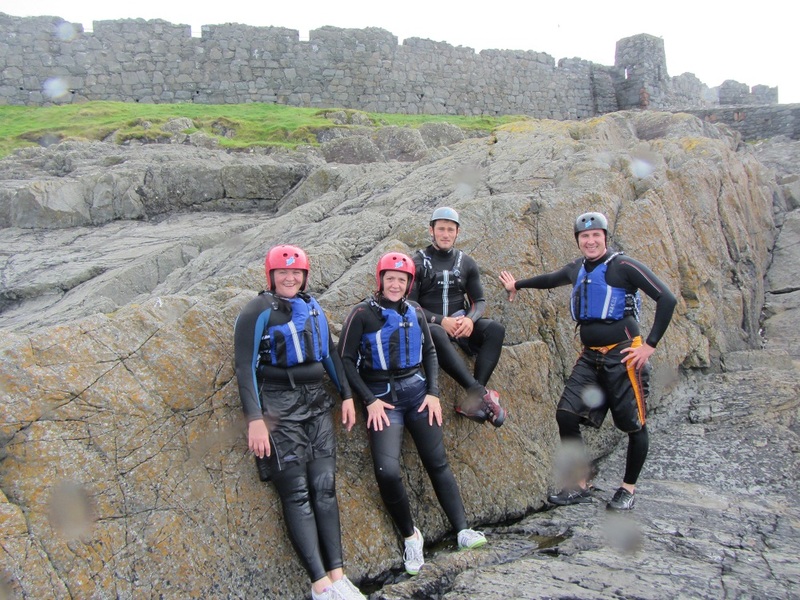 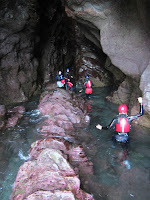 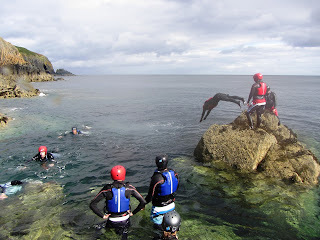 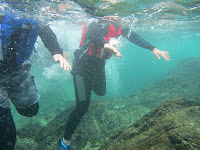 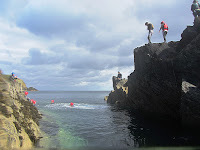 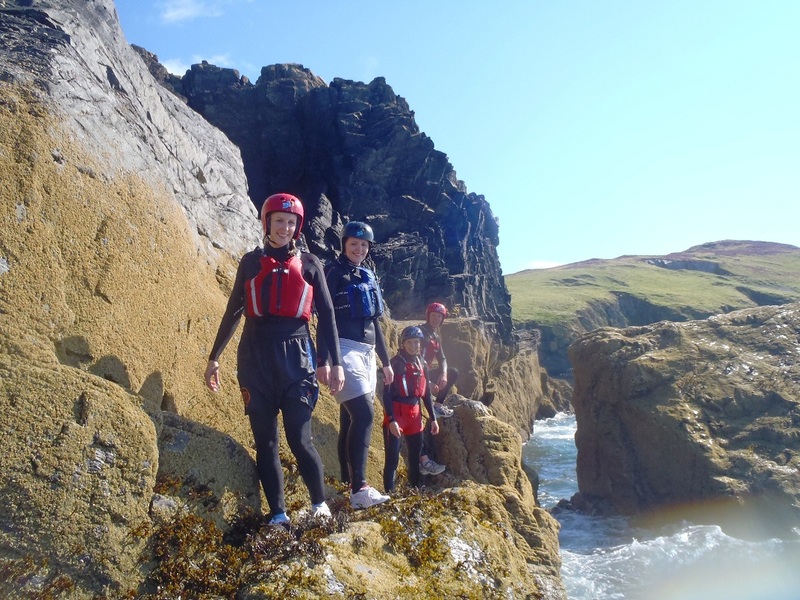 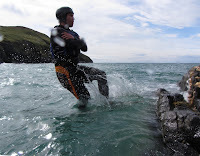 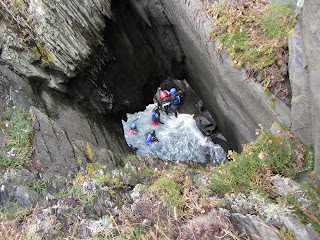 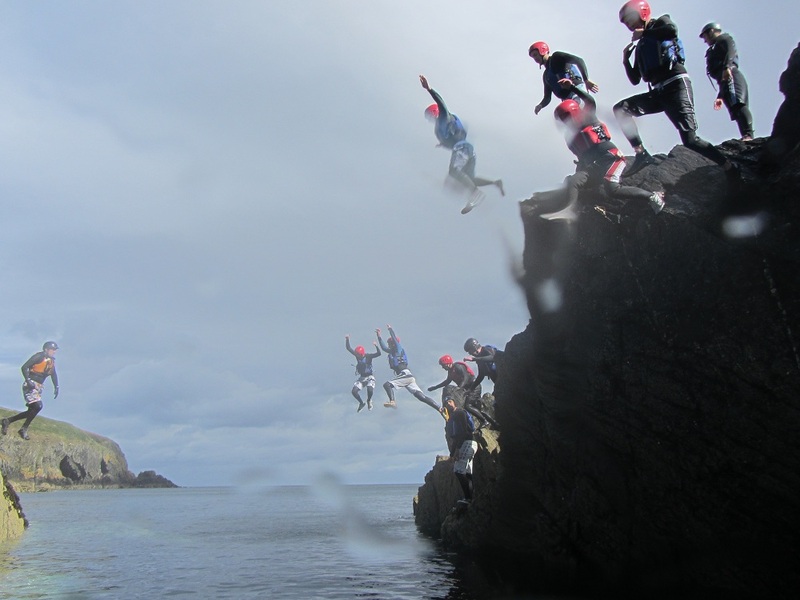 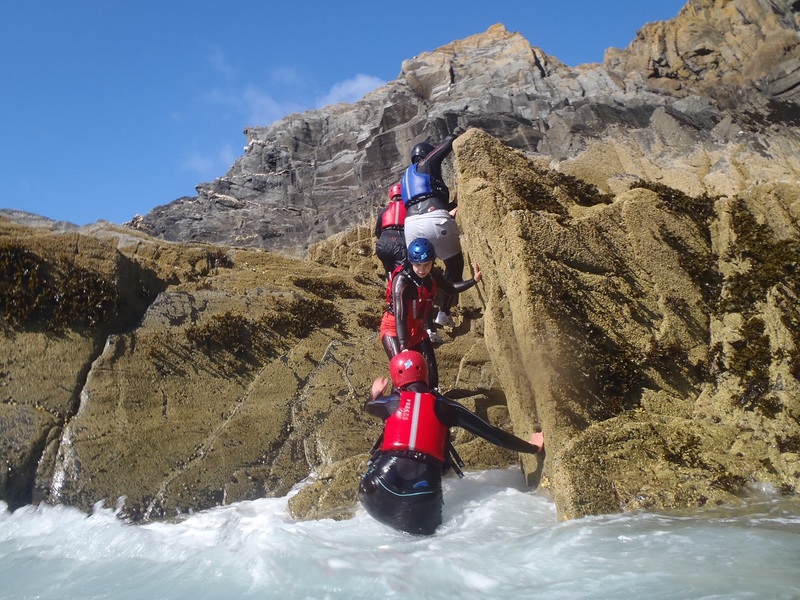 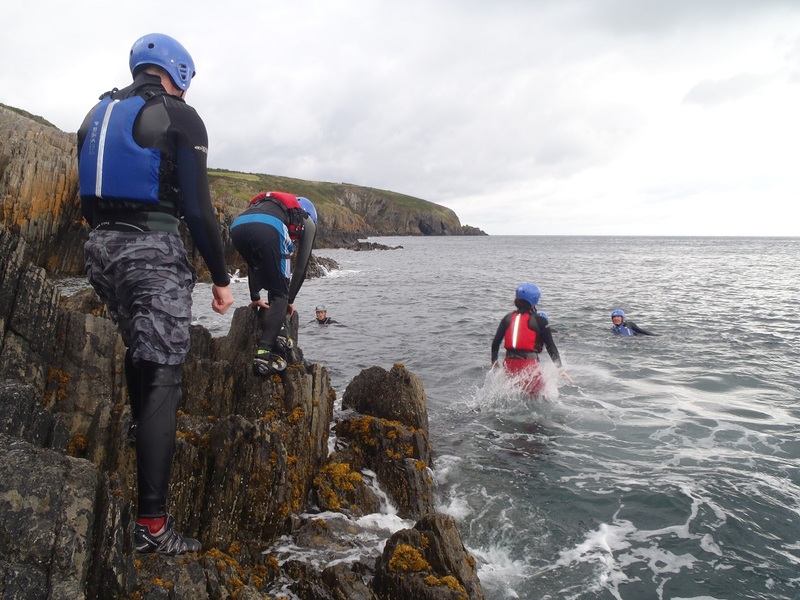 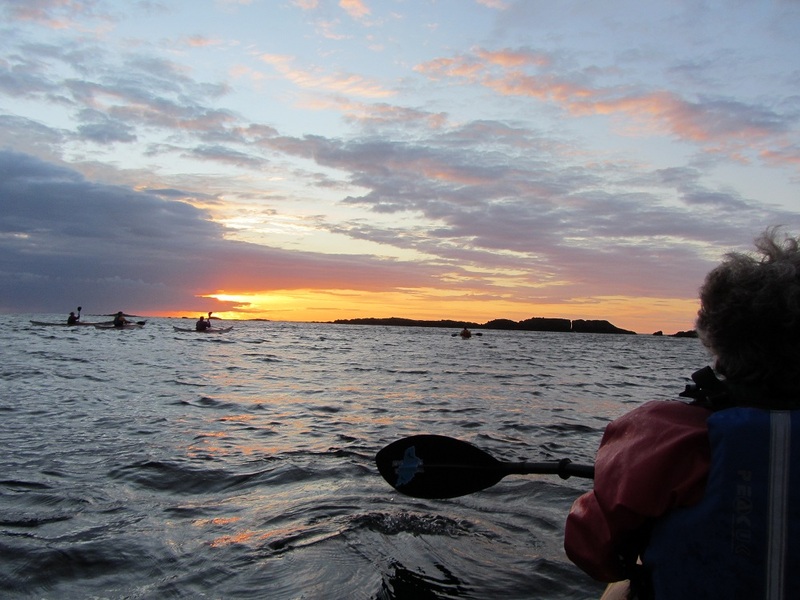 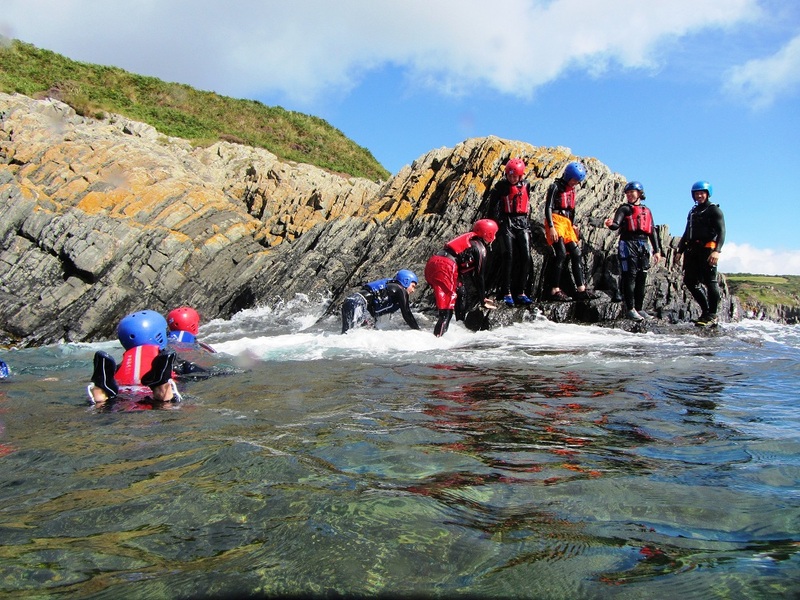 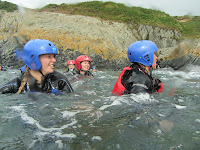 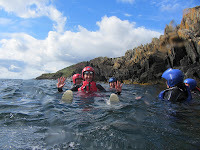 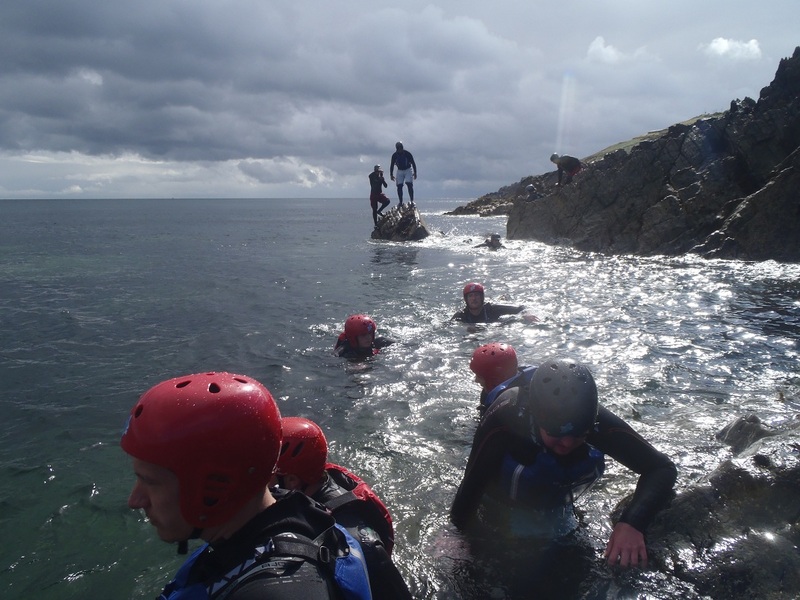 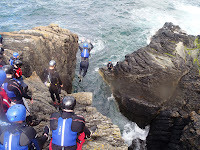 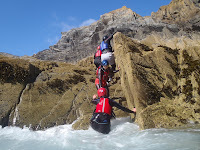 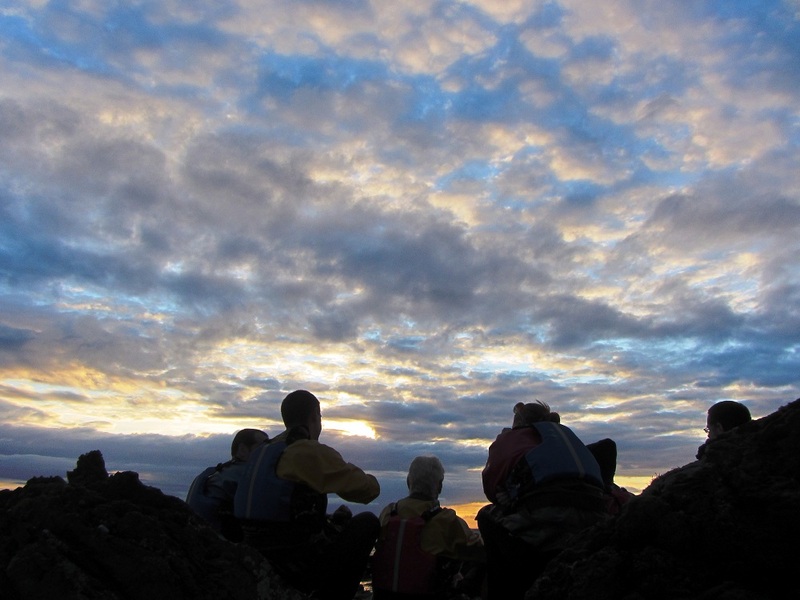 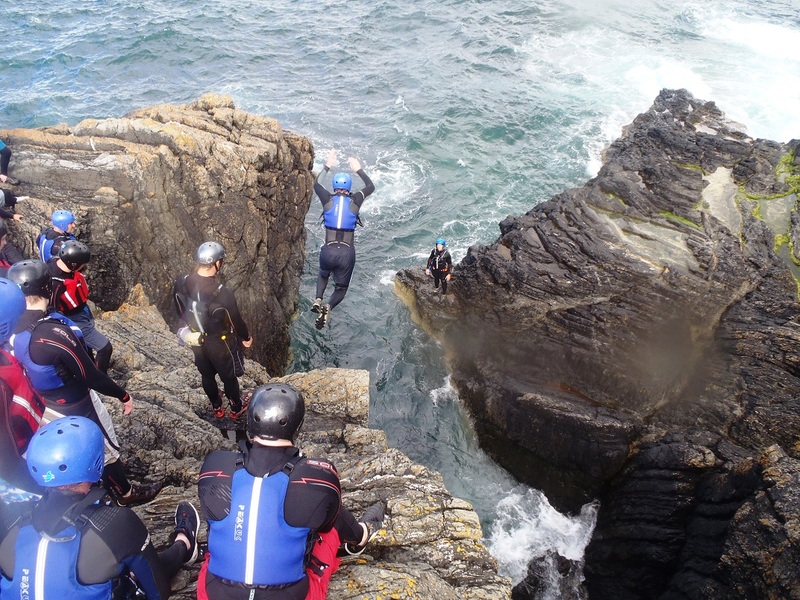 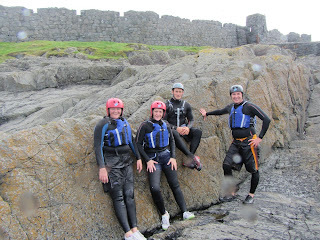 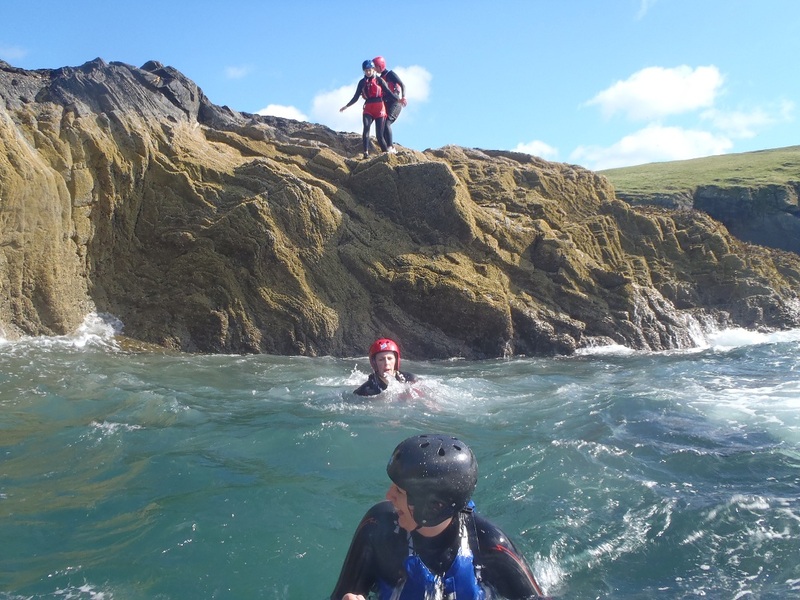 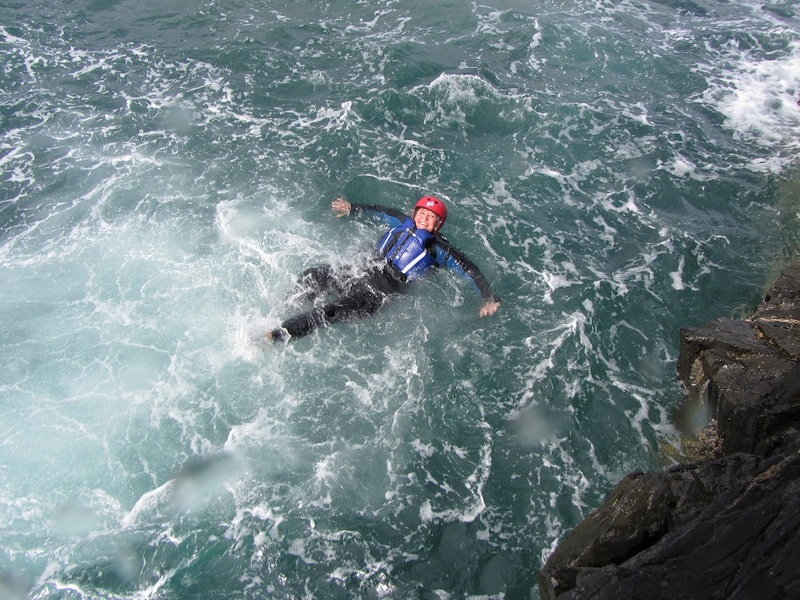 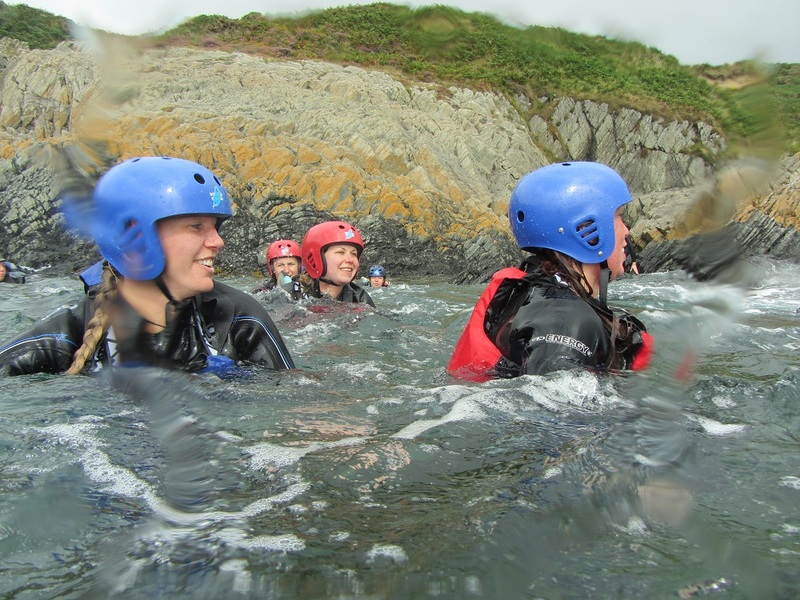 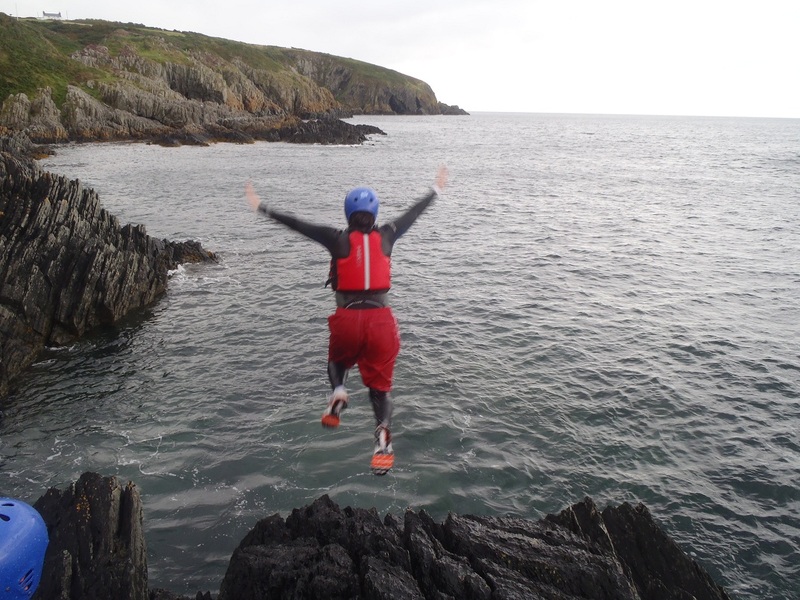 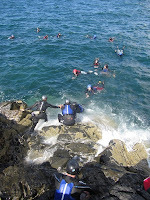 The next available places for sea kayaking and coasteering on open sessions are on Thursday, please see the website Calendar for details. Bday party & just for fun! 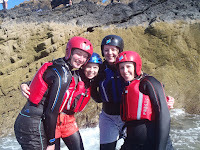 "Ah brill cant wait to look through these pictures! Had a brilliant day - everyone loved it! 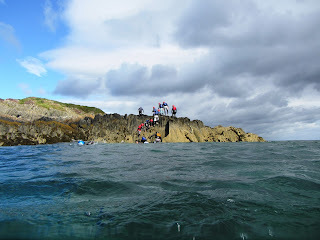 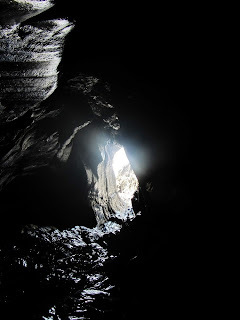 sheltered from the NW wind and some ideal rock hopping opportunities. 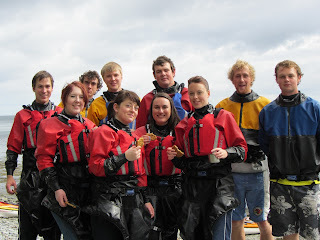 Pasties are pretty tasty at lunch time too! 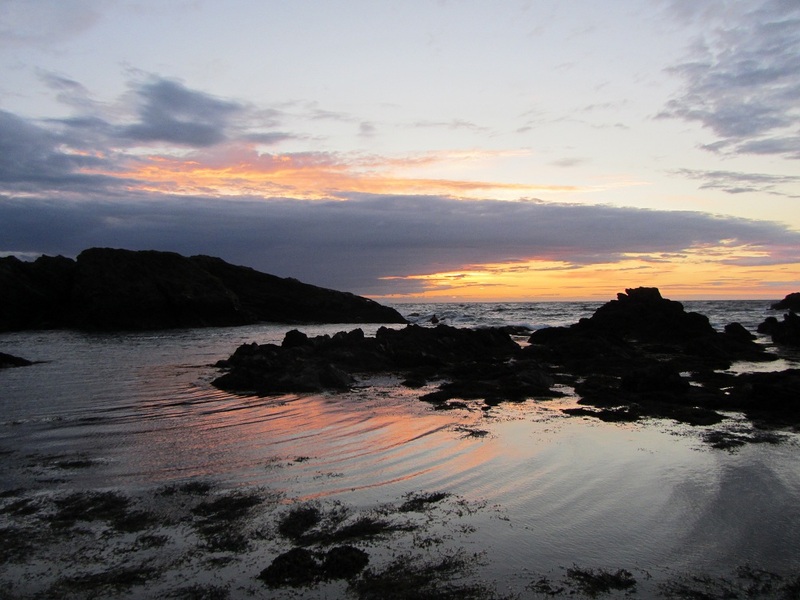 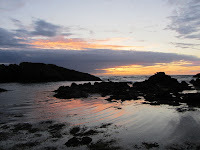 Cloud formations on the East Coast are very photogenic, an ideal backdrop to the rocky coves. 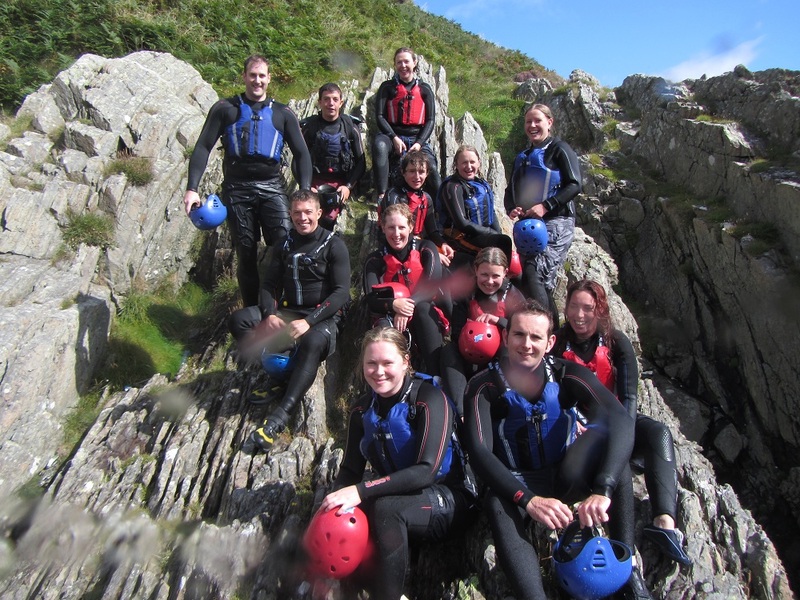 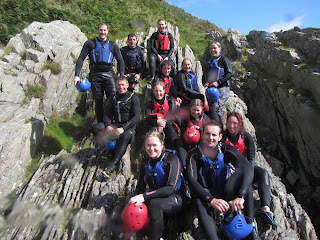 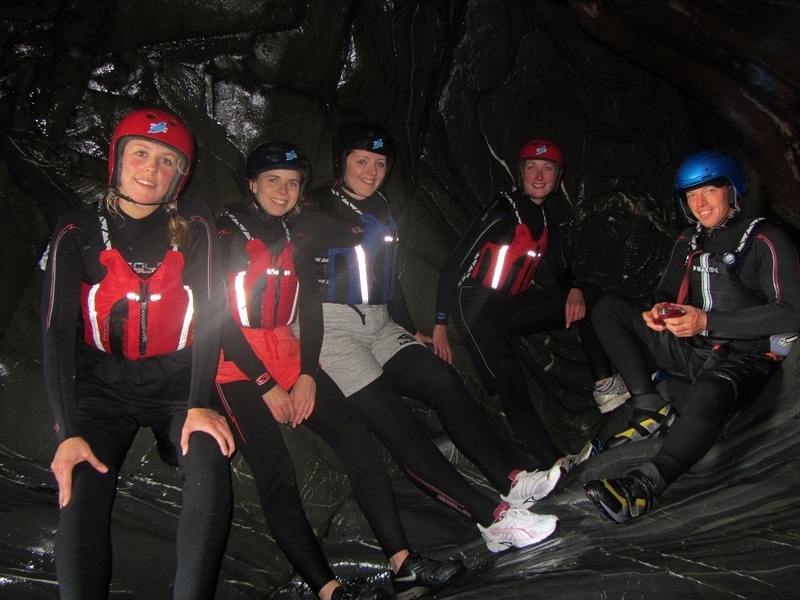 Congratulations to the Adventure Club members who passed their BCU 1* Award! 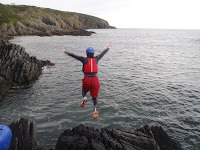 ... getting a different perspective of the Isle of Man! 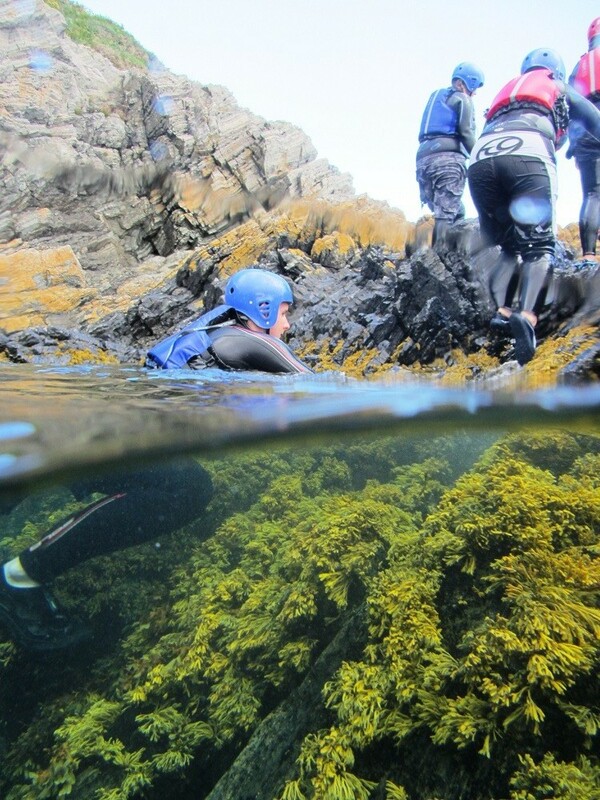 Good to see things from different angles. 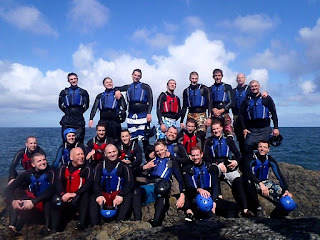 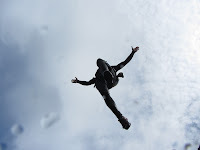 "Amazing day Keirron thanks a million, look forward to the next one!!" 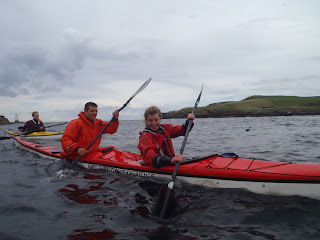 "...Basking Shark by the Castle if your around keep an eye out for it.."
A brilliant day!! brilliant weather, brilliant people, brilliant clarity and another day begins tomorrow... : ) Bring it on!! 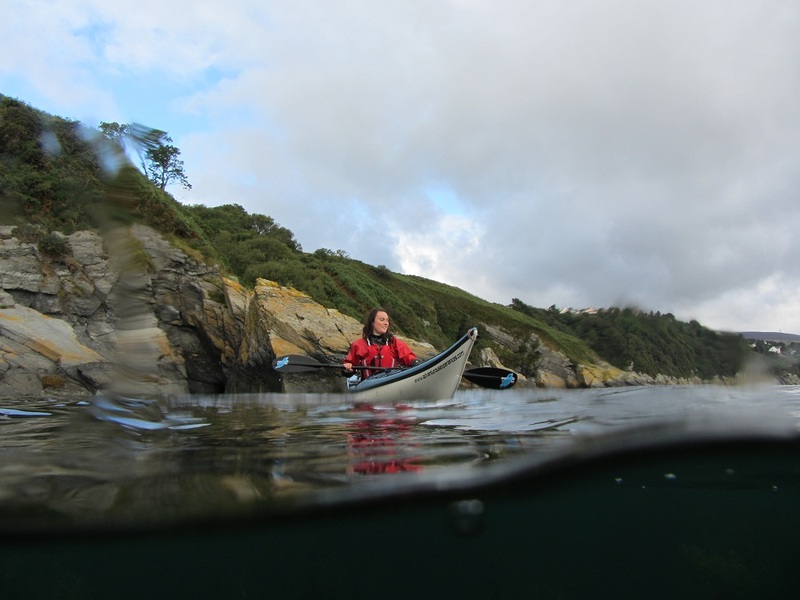 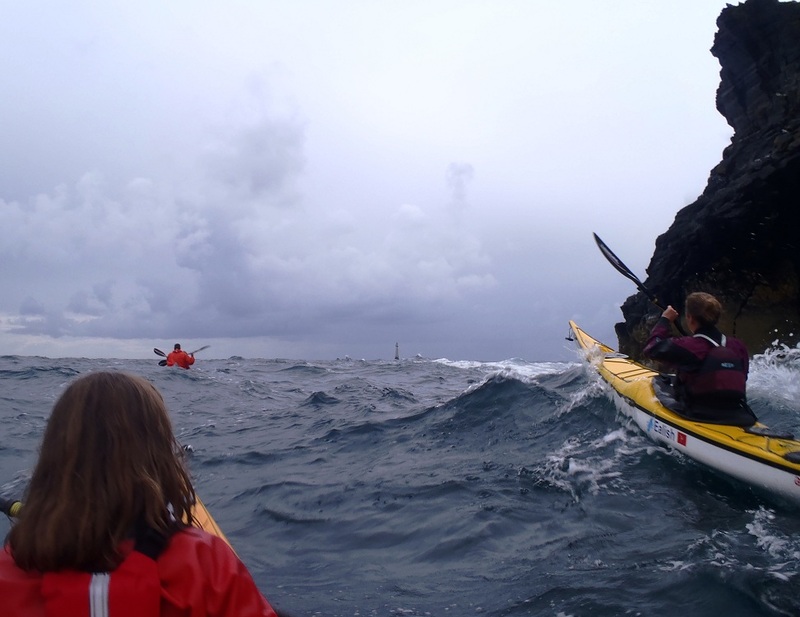 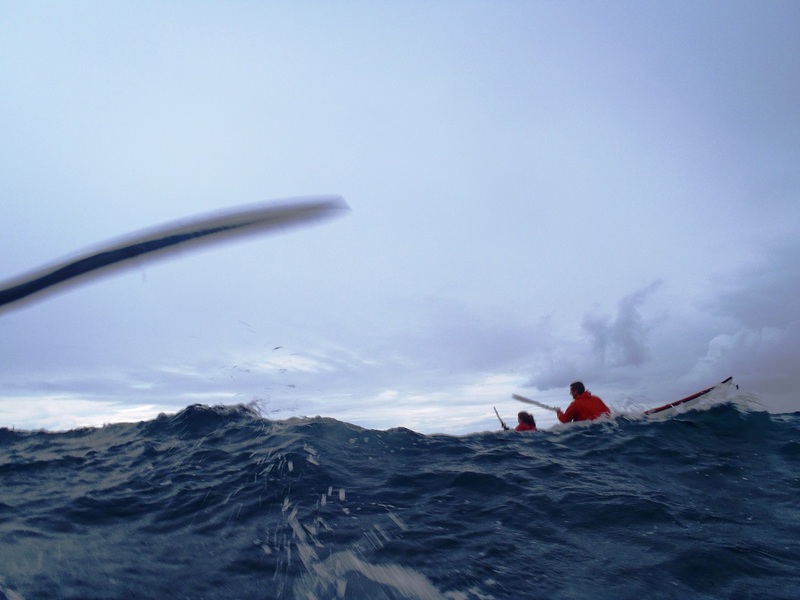 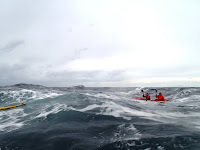 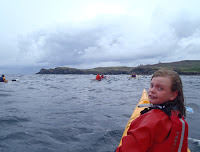 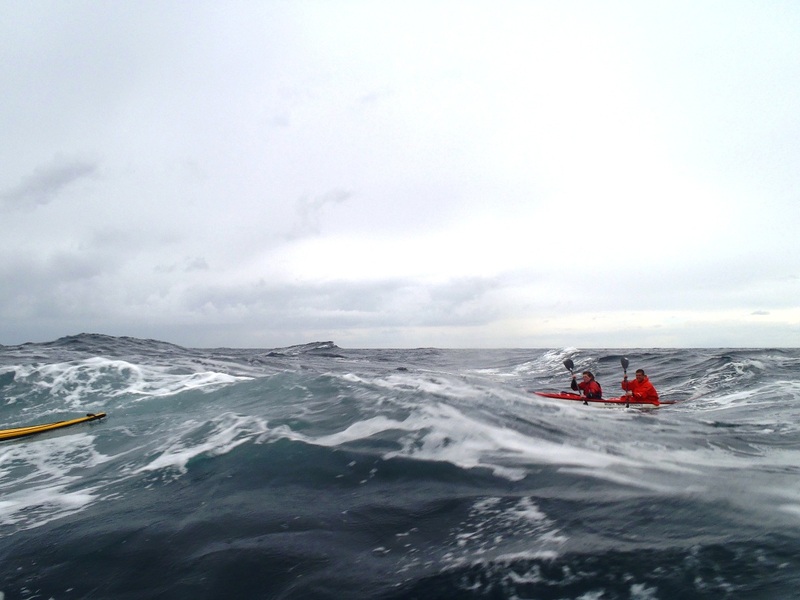 We took Katia and Alice out with us in the 'Mighty Triton' double kayaks this afternoon, round the Calf of Man, so many seals about at the moment.... finding a few waves to play in along the way. A few shrieks were emitted, and then "can we do it again"?!! 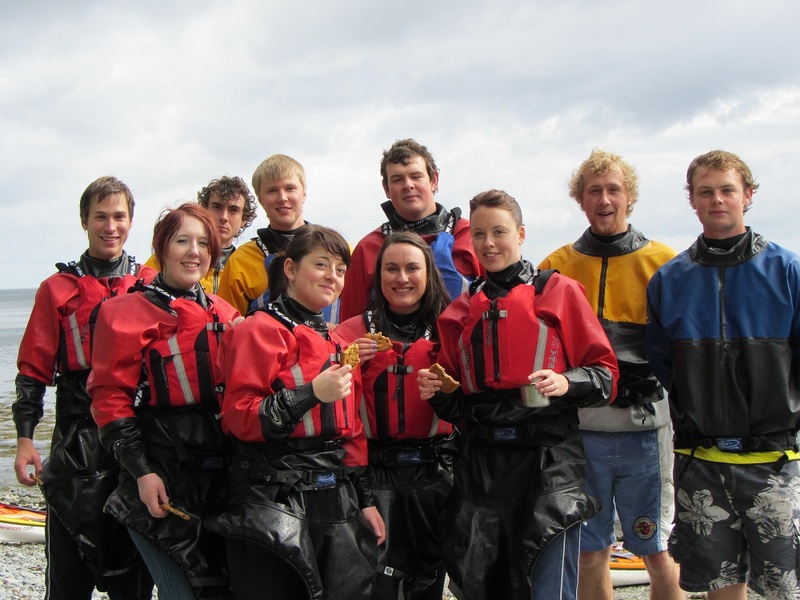 Viking Longboat Races - winners! 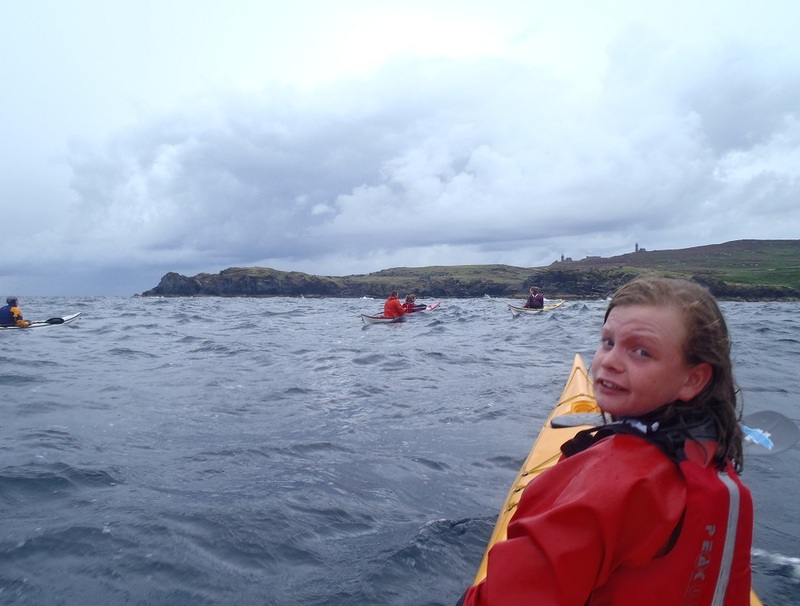 Laura - member of the month! 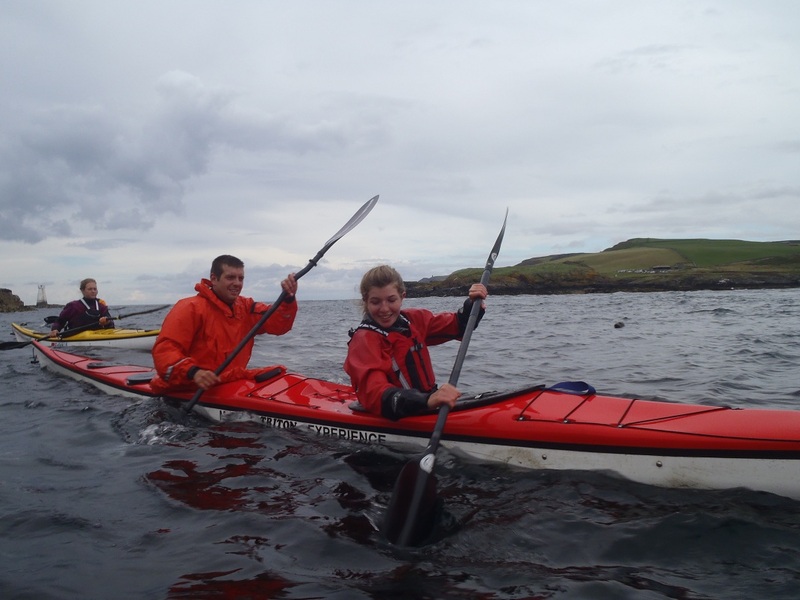 August - Basking Sharks return!